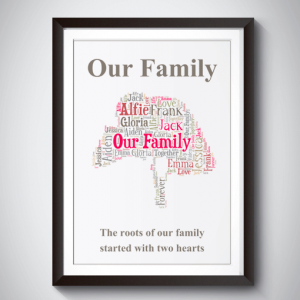 Someone from Chesterfied recently bought this item. 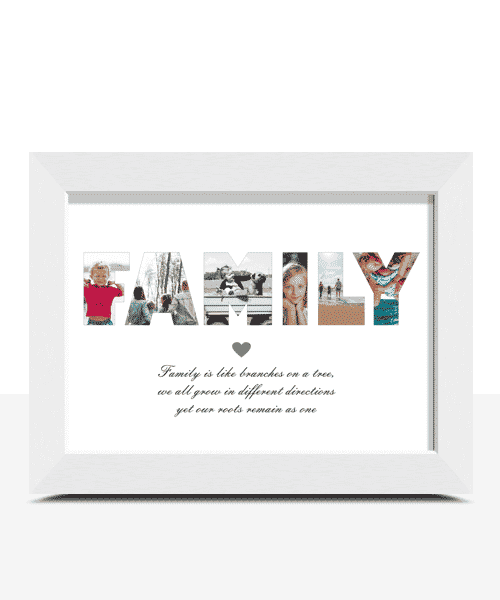 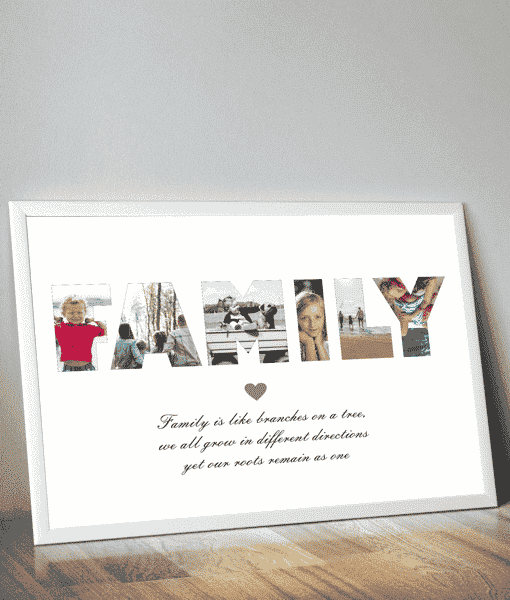 This personalised ‘FAMILY’ photo print makes a very special & unique gift. 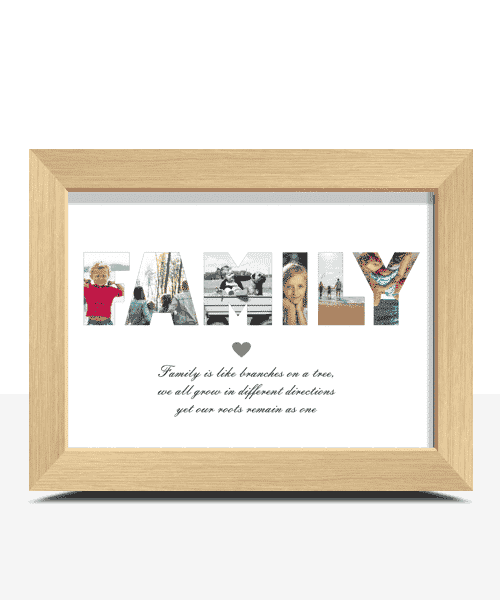 You get to add your own favourite photos and customise the text to create your own one of a kind piece of family art. 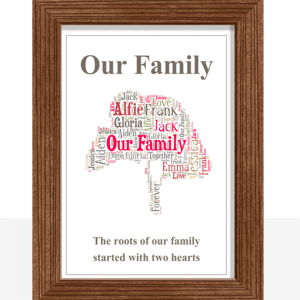 You can also include names & birth dates etc. 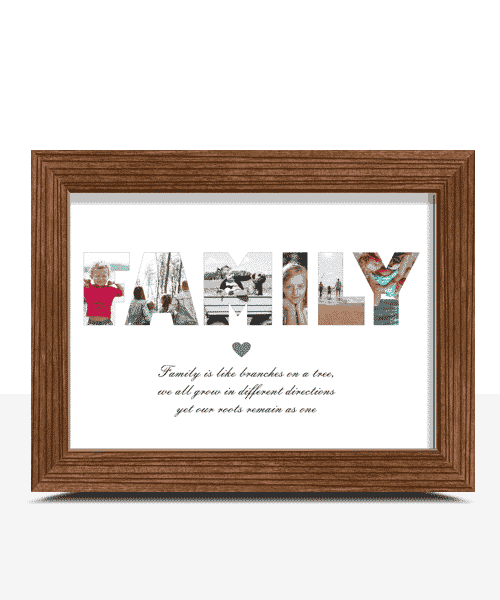 in the text at the bottom (See example picture). 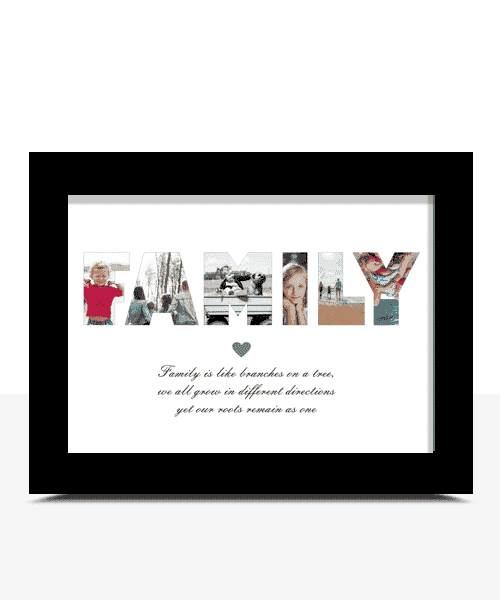 Add 6 photos to create the word FAMILY *.